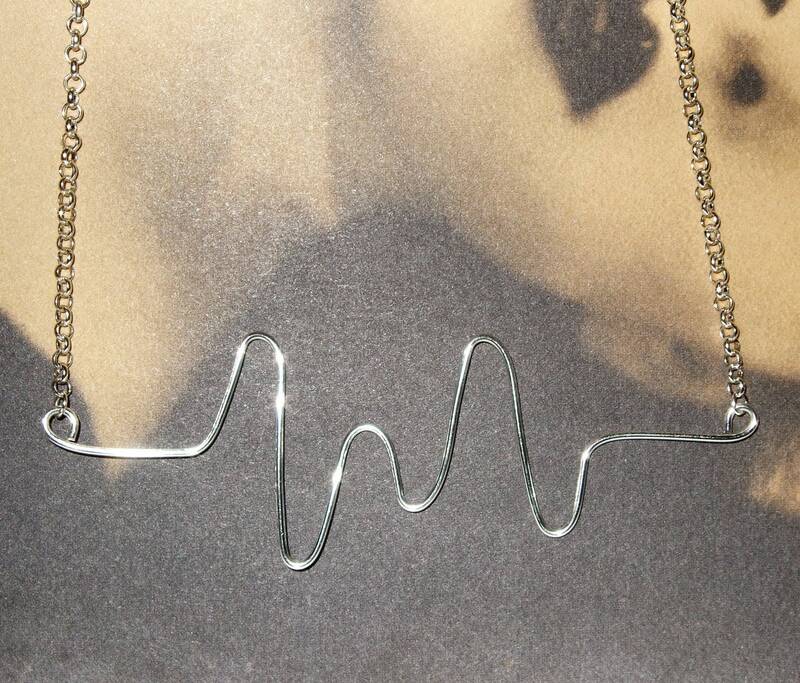 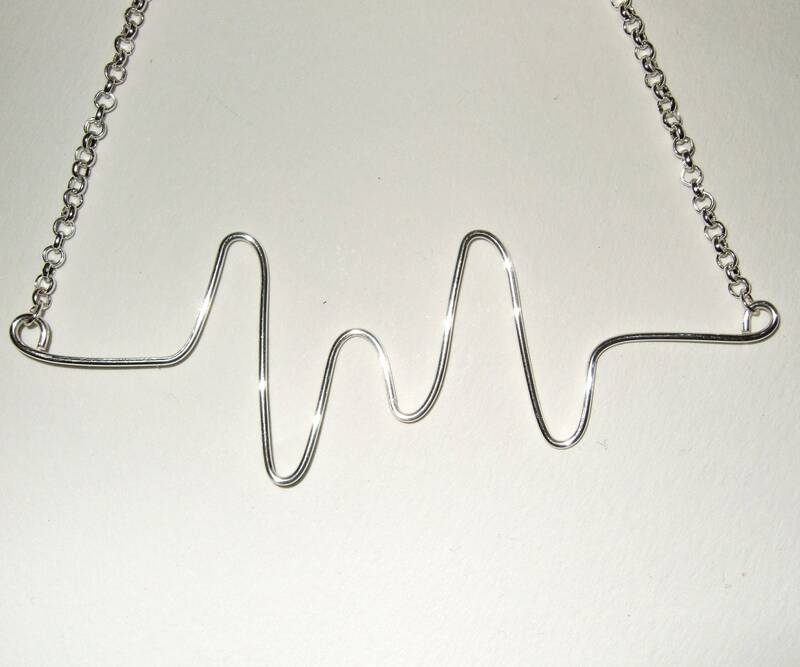 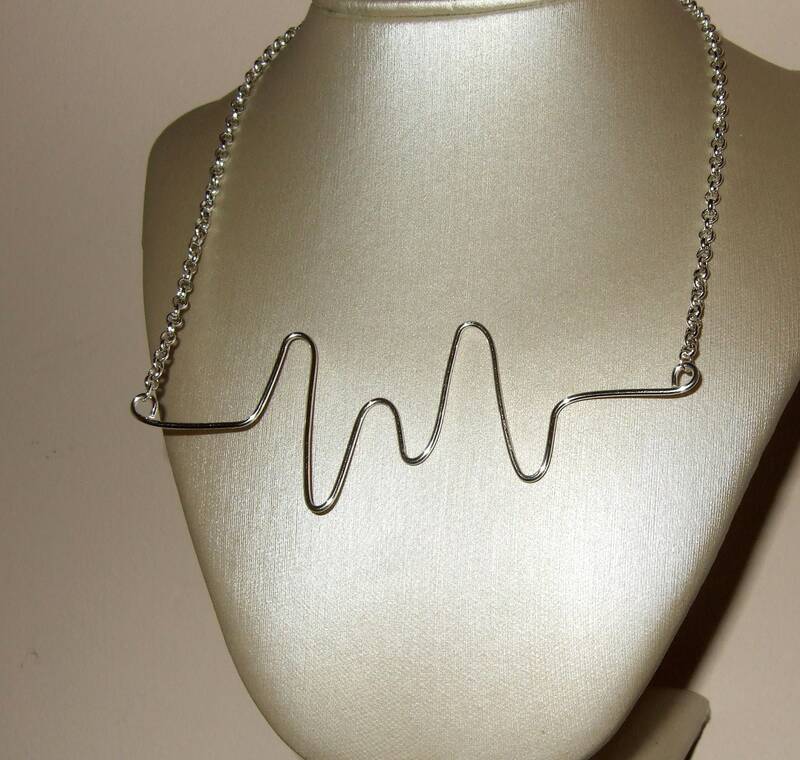 Stylised heart rate monitor style necklace is formed from non-tarnish silver plated 18 guage wire, and suspended from a silver plated rolo link chain which fastens with a lobster claw clasp, and is 18"/45cm long. 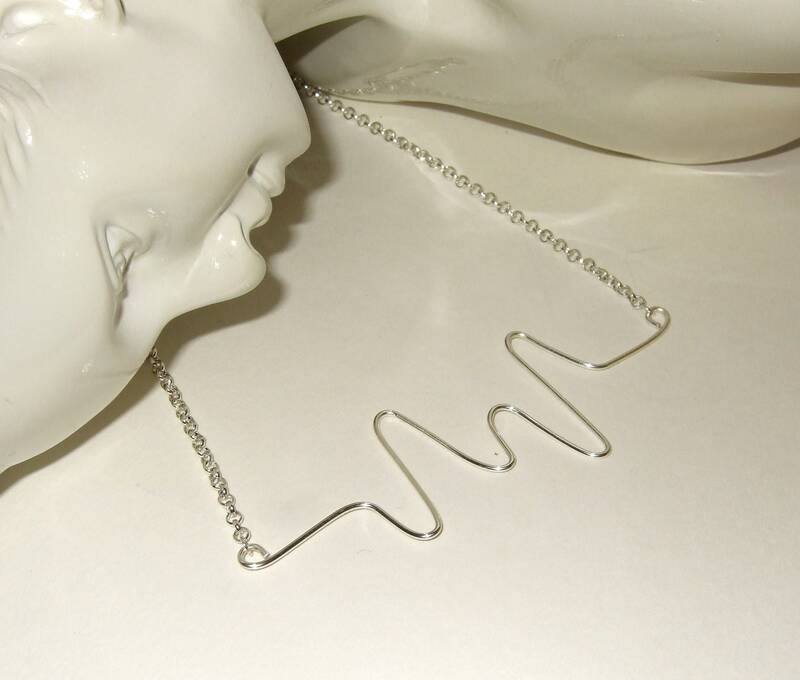 The 'beeps' themselves measure around 3.5"/9cm wide. 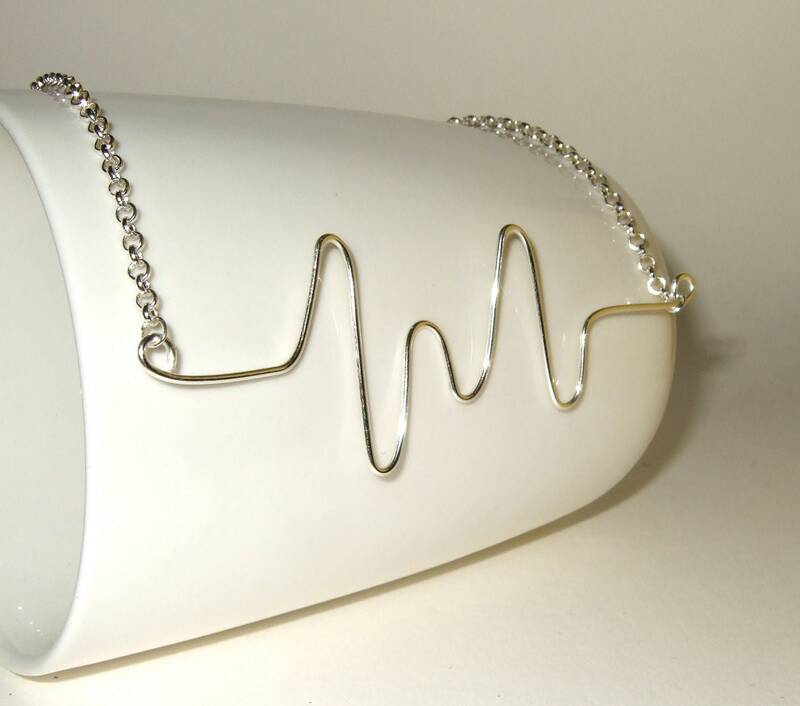 Does someone make your heart beat faster?